On April 25, Wellesley College will welcome former Vice President Al Gore to campus to speak about one of the most critical issues of our time: the climate crisis. The event begins at 5:30 PM in Alumnae Hall Auditorium. Known across the globe for his lifetime of leadership and public service, including his tireless efforts to slow and stop climate change, Gore is committed to galvanizing the next generation to continue the fight to protect the health of our planet and ensure a sustainable future. As the College’s 2018 esteemed Wilson Lecturer, Gore will engage in a wide-ranging, candid conversation with his friend and colleague Sue Wagner, a Wellesley College alumna and trustee, before responding to questions from the audience. 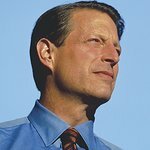 Gore and Wagner will discuss what is at stake in this important moment—one in which environmental awareness and movements are gaining traction worldwide, at the same time that climate change deniers and emerging nationalist perspectives are hindering progress. Gore’s visit coincides with Wellesley’s Sustainability Year, a campus-wide initiative to cultivate thought leadership on environmental issues, and help Wellesley lead the way for higher education institutions working toward sustainability. Launched in September 2017, the initiative explores – through conversations, lectures, workshops, and coursework – topics such as climate change, renewable resources, and social justice and environmental policy, while promoting meaningful behavioral changes. The College aims to achieve Gold status in the Association for the Advancement of Sustainability in Higher Education (AASHE) STARS ratings, which measures the sustainability performance of colleges and universities. Only 14 percent of nearly 900 institutions worldwide have reached Gold status.